I’ve mentioned in the past that I am the family birthday cake baker. Kurt in April, Tina and Ken in June and my mom in September. 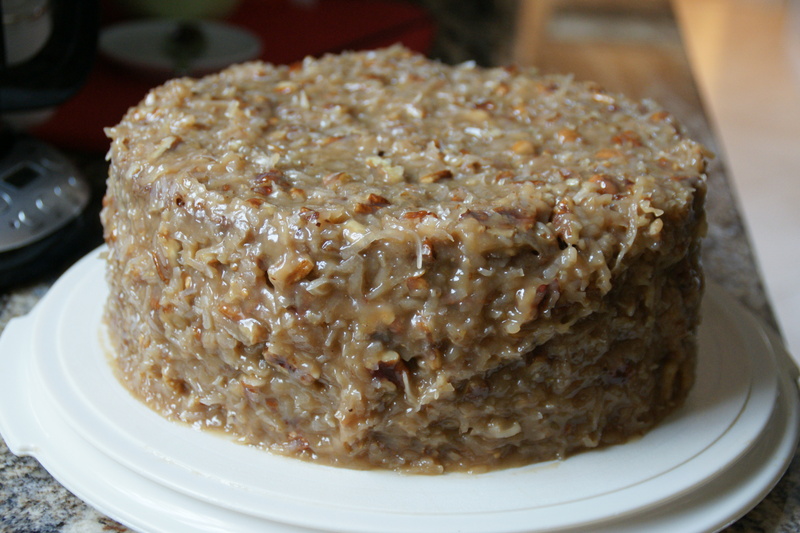 Lately, the natives have become restless with their standby favorites; this year Tina asked for a German chocolate cake. Since I had never made one, I thought it would be fun to test out a recipe. 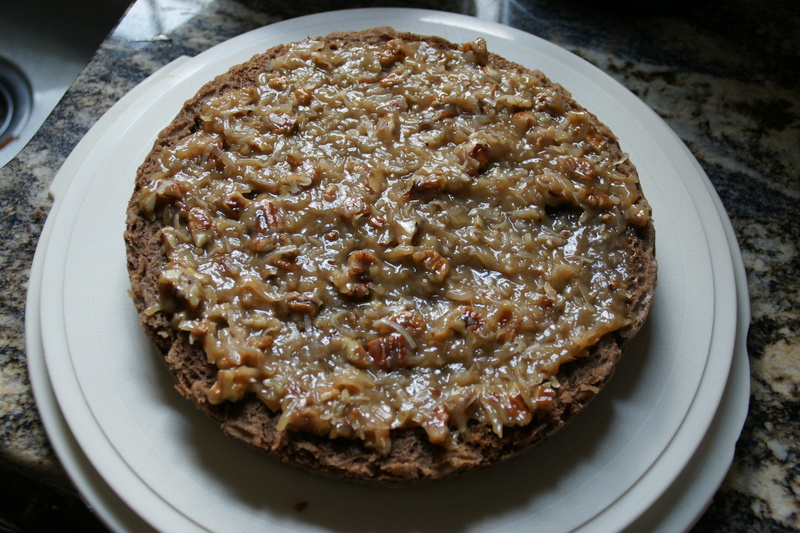 While online I reviewed several recipes; some were interpretations of this classic cake with chocolate frosting along the sides, and only the top of the cake covered with the traditional coconut/pecan frosting. Others had the frosting only between the layers and top with nothing on the sides– these cakes looked naked and sad to me. Finally, I ran across this one on Food.com and decided the cake recipe looked about right– creaming method, egg yolks and buttermilk. I thought melting the chocolate in water was a bit weird, but I can be flexible. The frosting recipe was exactly what I expected from previous experiments with caramel frosting: butter, sugar, egg yolks and evaporated milk boiled together until it became a thick, gooey mess. Plus an entire bag of flaked coconut and chopped pecans! It definitely had the potential to be a hit. I made a few substitutions because I’m lazy. I used sour cream instead of buttermilk in the cake because I was at Target with Ken and they don’t sell buttermilk, but offer many different sizes and brands of sour cream. I also had a can of non-fat evaporated milk in my cupboard and decided it would do instead of full-test. Lastly, and this wasn’t laziness– I used semi-sweet chocolate because I had no idea what “sweet dark chocolate” meant. Preheat the oven to 350 degrees F. Grease and flour 3 9-in pans. Set aside. 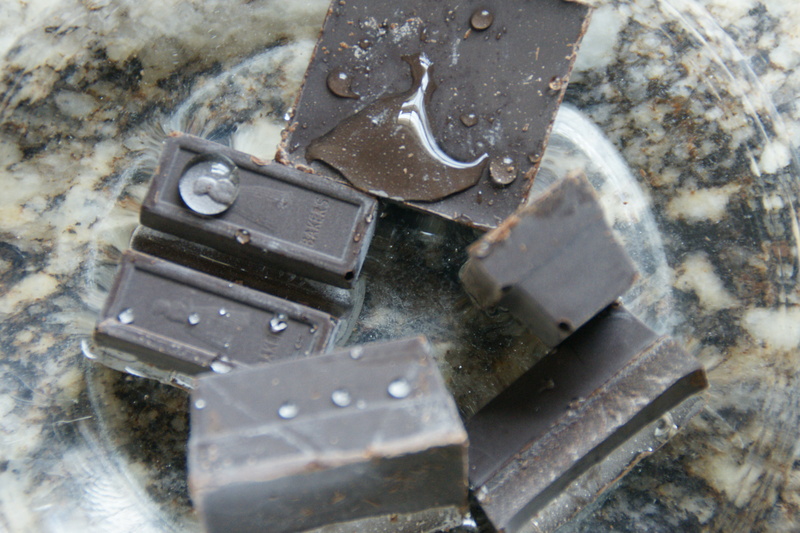 Melt the chocolate and 1/2 c water in a glass bowl over a just simmering pan of water. As you can see, I’m too lazy to chop the chocolate. I let the heat do all the work while I stir! 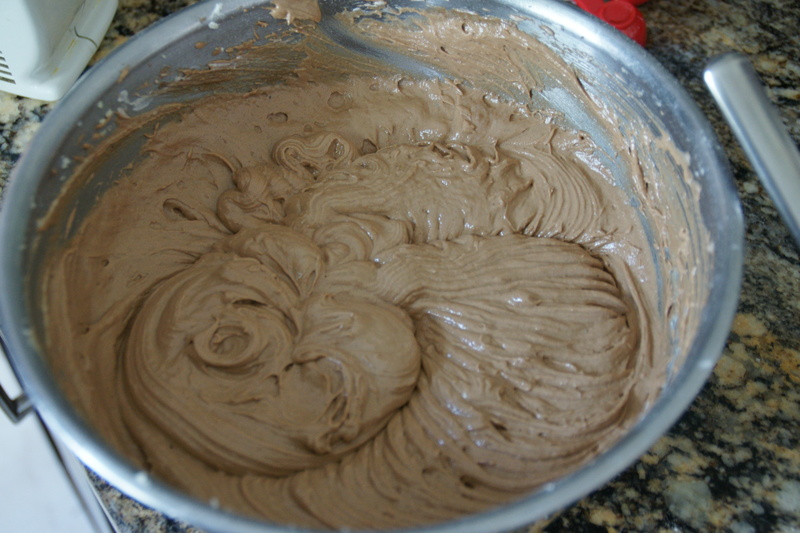 Stir until chocolate has melted and blended into the water. Take off heat to cool to room temperature, about 15 min. 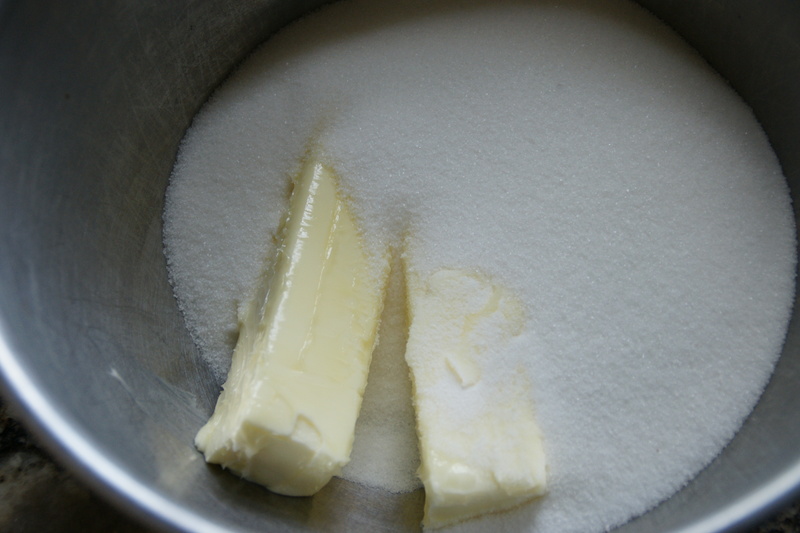 Place the sugar and butter in a mixing bowl and cream until light and fluffy. Add the vanilla and beat again briefly to blend. 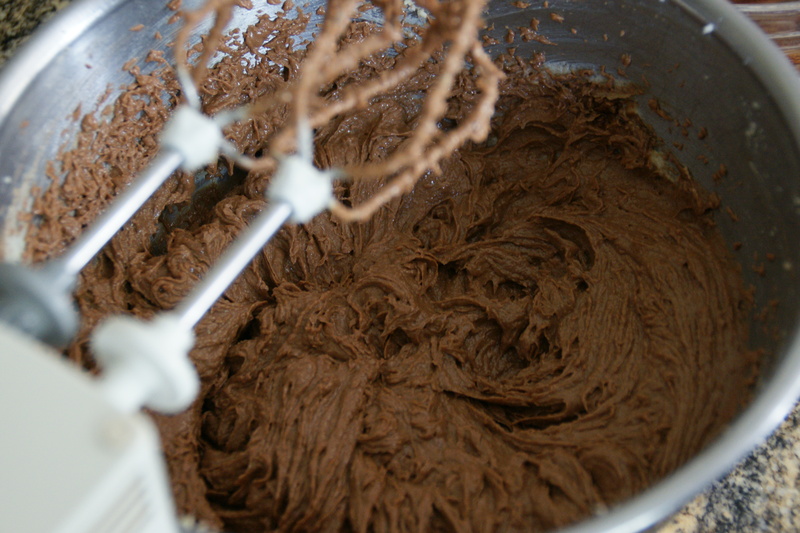 Add the chocolate mixture and beat to distribute evenly. 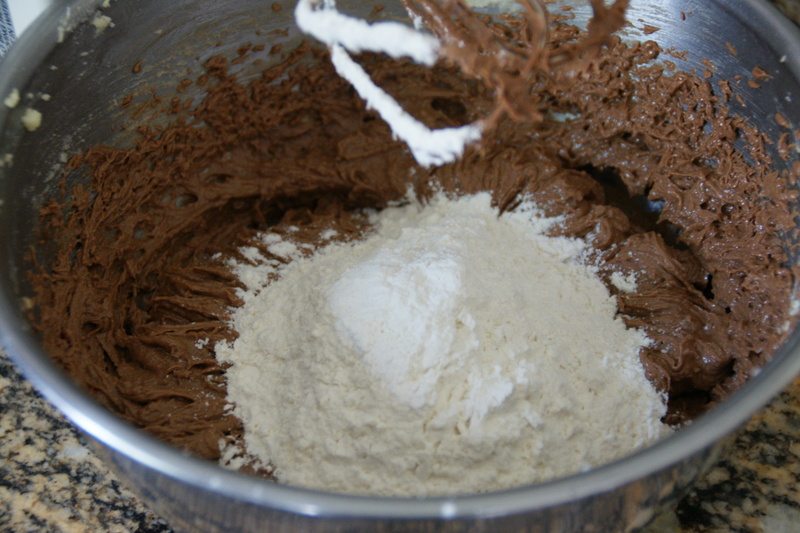 Starting and ending with flour, alternately add the flour and sour cream to the chocolate mixture, e.g., flour, sour cream, flour, sour cream, flour. Beat after each addition. You can actually test if the whites are ready by tilting the bowl; they shouldn’t slide around at all. 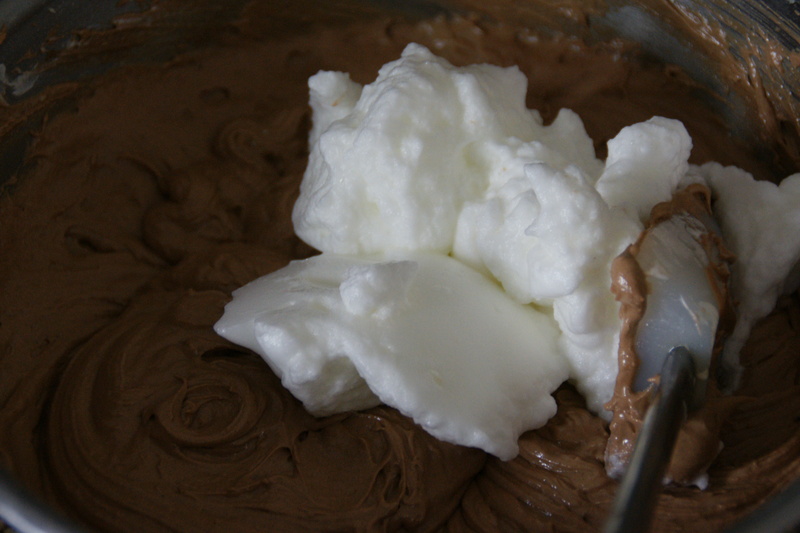 Using a rubber spatula, fold the egg whites to the batter in three separate batches. Fold the batter over the whites, turn bowl, fold over again. 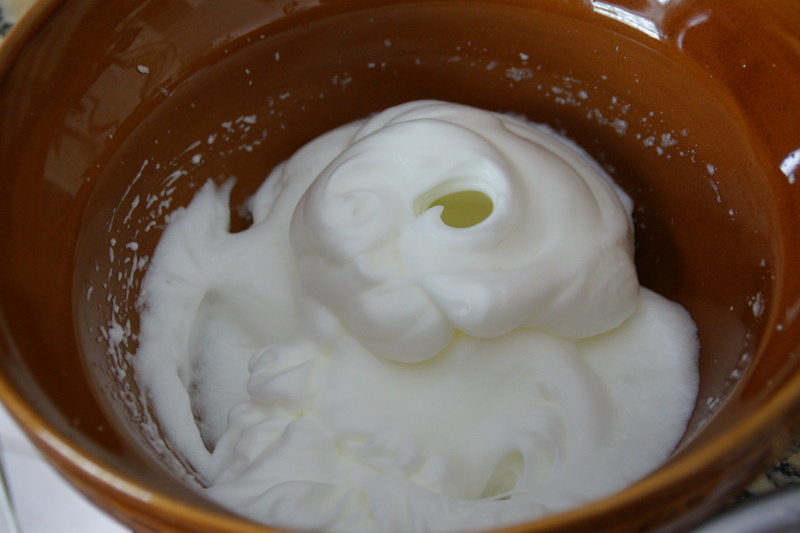 Continue til whites are mixed in; it’s ok if you see just a few streaks of white. DO NOT STIR! 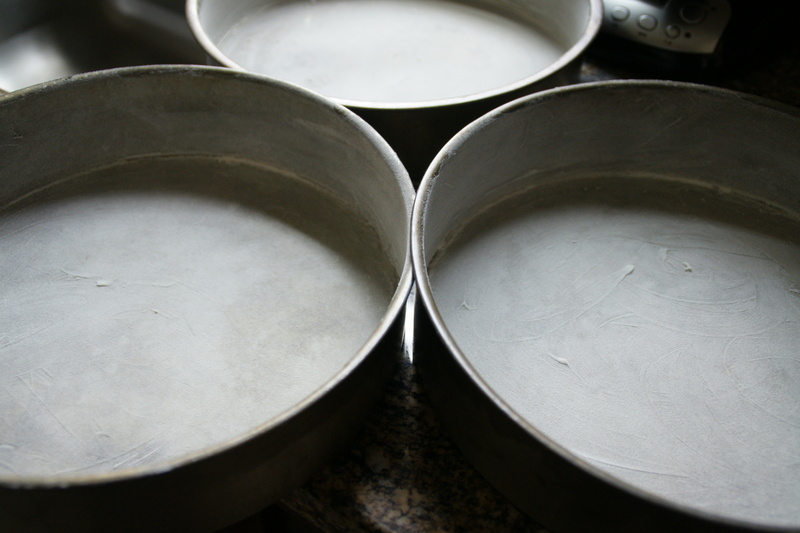 Divide the batter as evenly as possible into the prepared cake pans. 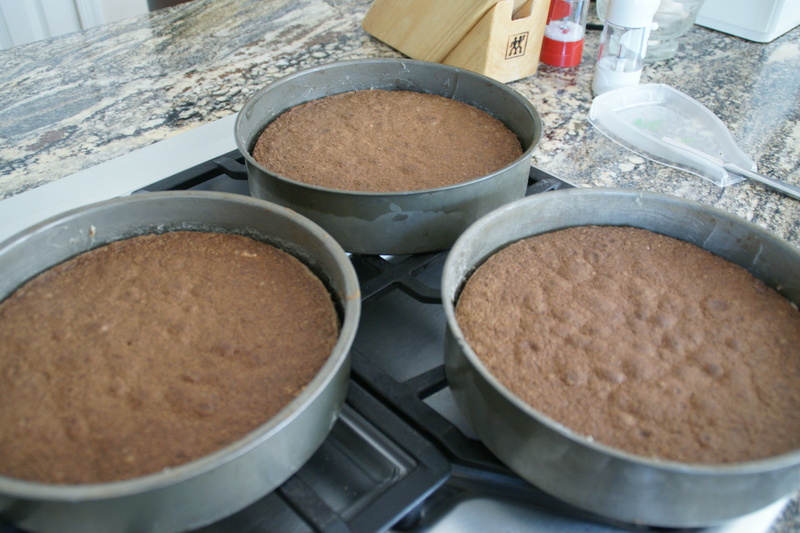 Bake in the preheated oven for 30 minutes or until a cake tester inserted in the center of the cake layer comes out clean. Remove pans from oven and run a knife around the edges. Let cool 15 minutes in the pan and then pop onto wire racks to cool completely. 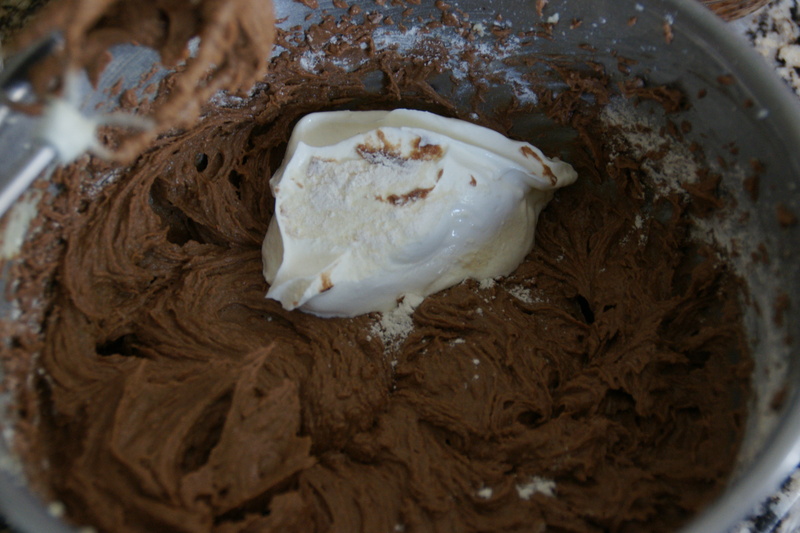 While cake layers cool, make the frosting by adding the sugar, milk, egg yolks, vanilla, salt and butter into a tall saucepan. 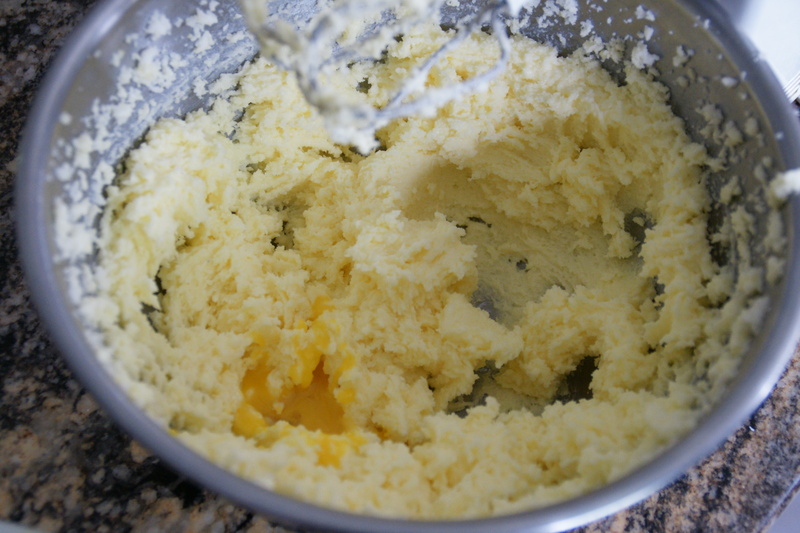 Place the pan over medium heat and cook for 12 minutes, whisking ingredients to combine as butter melts. The mixture will start to simmer and then boil; just keep stirring. 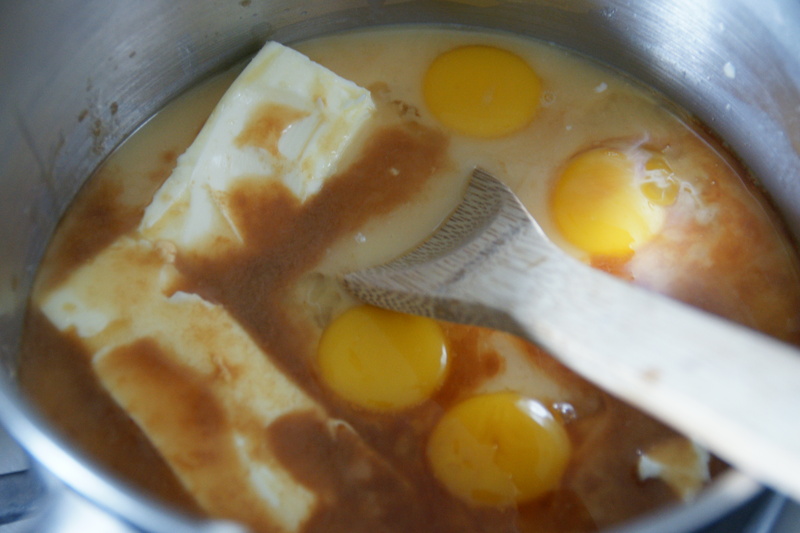 After 12 minutes, the mixture should be thick and golden. Remove from heat. 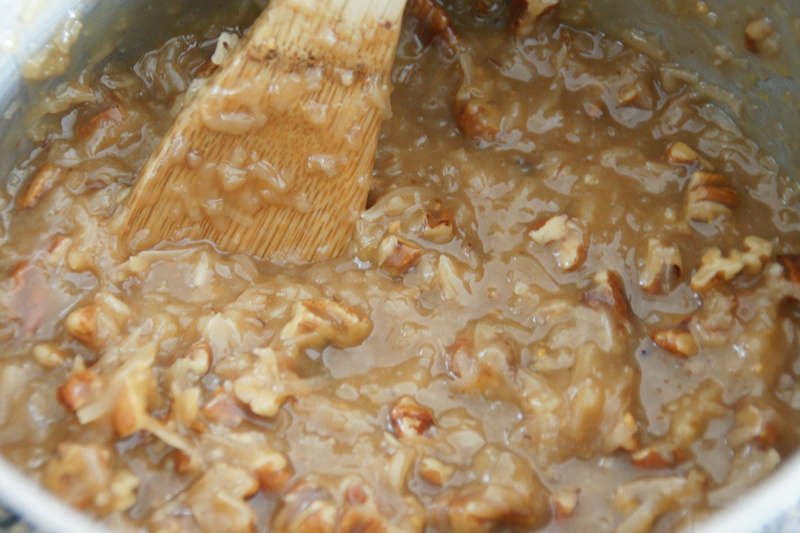 Stir in the coconut and pecans, then stir (almost beat) vigorously for 5 minutes. Set pan aside to cool and set. Since it’s very hot, the frosting will seem thin. Beat it a bit with a wooden spoon then let it cool. It will thicken! 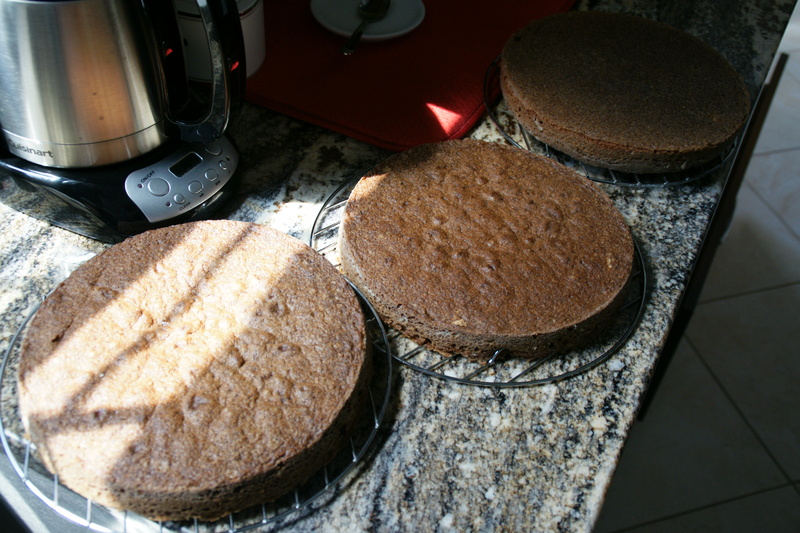 When frosting has reached room temperature, assemble the cake, using about 1/2 c between layers. A special birthday cake for a very special sister! A new addition to my cake repertoire!